Gather in close, reader — it’s time for Field of view, the place where we round up the latest happenings in the world of VR and AR. It’s been a landmark week for the space, after Magic Leap One finally, actually, honestly went on sale, though the hype has been tempered somewhat by initial verdicts indicating it offers more of step forward for AR, and not a leap. With this initially only being the Creator's Edition, though, we expect things to slowly improve over the next few months. Read this: Is Magic Leap One just another set of AR glasses? But, anyway, what else has been going on this week? Well, have a read below for some headlines you may have missed and a couple of recommendations for when you're next pull on that headset. 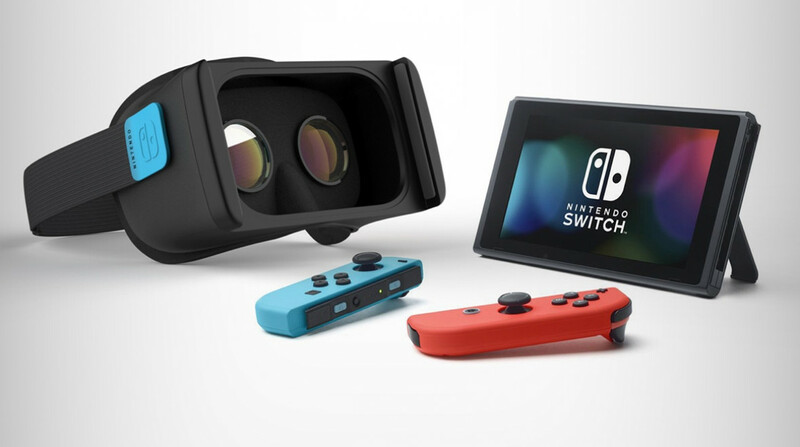 You thought the dream of virtual reality on the Nintendo Switch was dead, didn’t you? DIDN'T YOU? Well, despite Ninty itself routinely killing any speculation regarding the console’s ability to support the medium, a fresh discovery has again ramped up talk about the possibility of Mario et al. in the virtual realm. As shown in the image above, Twitter user @random666_kys — who details the discovery in a thread — was able to activate a hidden section of code showing a screen marked as ‘Test VR mode’. Selecting the option splits the display into two equal sections, before also asking the user to move the console away from their face. It’s not a lot to go off, but it does keep alive the prospect that Nintendo is working on VR in the background. If not for this generation, then we could perhaps see it all realised in the next iteration of the Switch. The New York Times is no stranger to delving into new technology, previously offering users VR experiences through Google Cardboard and Samsung Gear VR, as well as AR experiences through smartphones for the Olympics and the Syrian war. And the newspaper is now set to advance things even further, announcing a partnership with Magic Leap to bring immersive journalism to the headset. The first offering will be an MR version of its coverage of the Guatemalan Fuego volcano eruption, which will utilise Magic Leap’s Helio web browser, though expect more to be announced as the goggles roll out to more developers and consumers over the next year or so. L’Oreal is set to use AR to give users the power to try makeup before they buy, with Reuters indicating that the beauty company has signed a partnership with Facebook to allow the experience to show on Instagram. The move comes after L’Oreal acquired beauty-tech Modiface earlier this year, with the plan to help superimpose makeup on faces in real-time. We don’t yet have a timeline for when this tech will pop up on Instagram feeds, but we do know which brands will be involved — Lancome, Urban Decay, NYX and Yves Saint Laurent are all in line up to take part in the service. The BBC is to release a Proms VR experience to mark the World War One centenary, premiering on 21 August. Nothing to be Written is the BBC’s first VR Prom, with the seven-minute experience using soldier’s postcards as inspiration and developed for the Oculus Go. You've always wanted to, don't try and sit there and pretend you haven't. And with virtual reality, now you can wander through the Queen's halls and pretend you - YES, YOU - are indeed part of the Royal Family. This two-minute, mini-tour through Buckingham Palace gives you a 360-degree look at the likes of the Picture Gallery, White Drawing Room and the Ballroom. And, luckily, if you're visiting, some of these are available to walk through for real between July and September. We love a first-person shooter here at Wareable, and, when done right through the more high-end VR headsets, the game type has even more potential for immersion. Enter, then, Zero Caliber, an upcoming run-and-gun title that promises realistic weapon handling, co-op modes and an engaging campaign storyline. And next week, HTC Vive owners will have the chance to test out the game for themselves with an alpha testing period starting on 14 August, and lasting for a week. If you want to get involved, you’ll need to head over to Discord and apply - otherwise you'll have to wait until the game arrives on Steam Early Access later this year.